Investing in a complete roof replacement is a great way to add significant value and additional security to your El Dorado County commercial property. When choosing the right roofing materials for your property you’ll want to consider your flat roofing options, since it provides long lasting results at an affordable rate. As with all types of roofs, flat roofing offers a variety of material choices. Use our Flat Roof Decider to fin the best material option for your commercial building’s flat roof replacement. 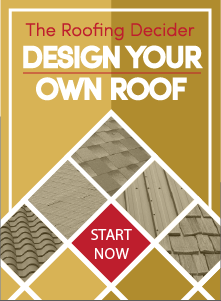 This interactive design software allows you to make your flat roof choices based on your style, needs and budget. An estimate can be generated based on your specific choices. Give the Flat Roofing Decider a try & get a estimate today! A new flat roofing system enhance the aesthetics of your building- the look and feel of your building is an important part of your building’s curb appeal and value. Flat roofing is effective at preventing moisture absorption which reduces the risk of leaks. Additionally, flat roof replacement is cost effective since it requires less building materials than are needed for pitched roofing. Straight Line’s flat roof replacement services in Sacramento and the surrounding areas can transform your building’s roof into what is known as a “cool roof”. A cool roof is able to reflect the sun in the summer, which helps to keep a building cooler, while absorbing heat in the winter. Cool Roofs can make a big impact on your yearly energy costs allowing you to invest these savings into other aspects of home or business improvement. 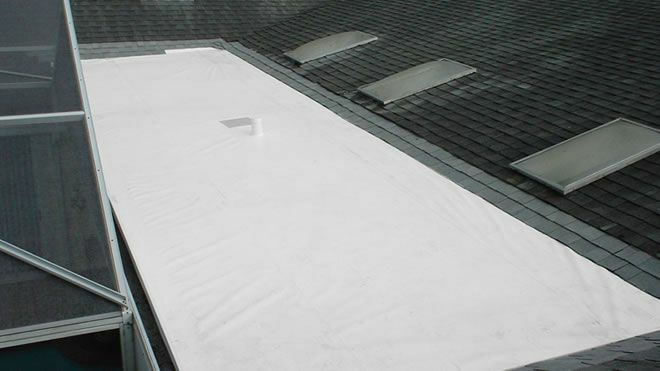 When choosing flat roof replacement for your property you’ll want to determine the right thickness when it comes to the membrane system used to complete your flat roof replacement. Our roof membrane systems come in 40, 50, 60, 70 and 80 Mil. options. Choosing the right thickness of the membrane depends on several factors that include the building’s design, your personal preference and your budget. A membrane system is typically made from synthetic rubber, thermoplastic (PVC), or modified bitumen. Straight Line Roofing’s knowledgeable contractors will help you choose the best option for your building, depending on your individual needs, and can explain how these roof membrane systems work. Straight Line Construction’s highly trained contractors can inspect your property in order to determine the best course of action for your individual needs. By choosing a flat roof replacement with Straight Line, you can greatly enhance your property’s value and efficiency; you can, also, expect your new roofing system to last anywhere from 20-30 years, or longer with proper maintenance and care. We can install your flat roof system quickly and professionally. Call, Straight Line Roofing for an estimate on a new flat roof system for your home or business.